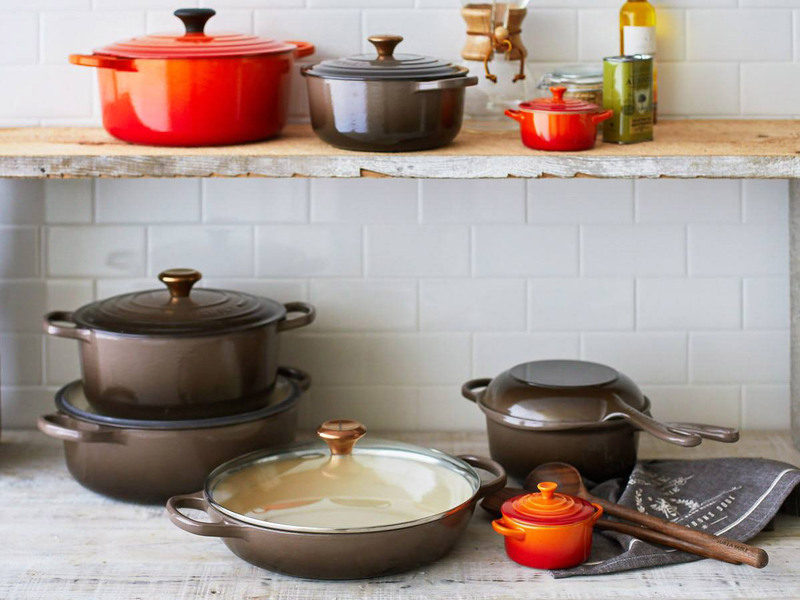 If you're a fan of Le Creuset—the French brand famous for its cast iron dutch ovens, among so many other great pans, skillets and the like—you're probably aware that they come out with new colors all the time. And, if you're like us, you're consistently impressed that the new colors continue to convince you to make room in your small kitchen for just one more piece. The latest color, which we spotted over at The Kitchn, incites no different response: Le Creuset fans, meet morel, and prepare to find space in your cupboards, because you're going to want to add this one to your collection. 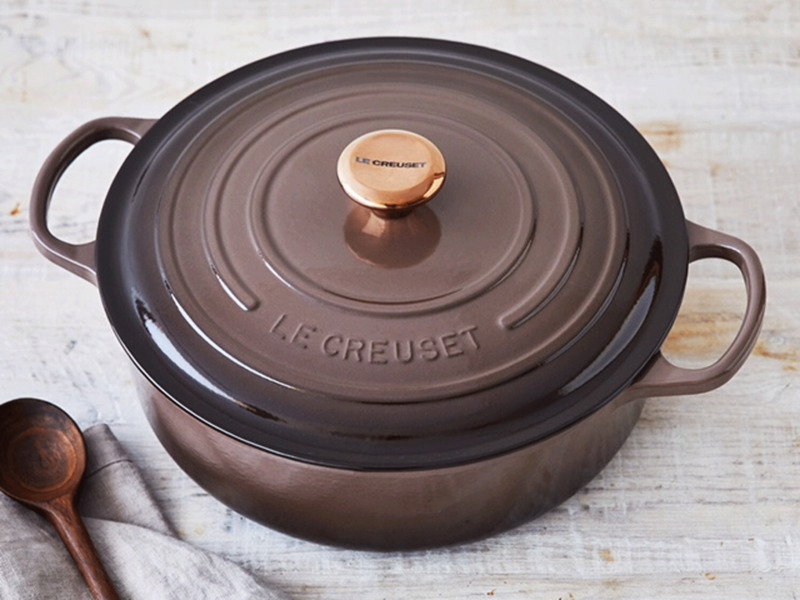 Morel Dutch ovens in this silky brown color are available exclusively at Sur la Table right now, and come in the following sizes: 2.75-quart Dutch oven, a 6.75-quart Dutch oven, and a 3.5-quart buffet casserole with glass lid. They also recently released another dreamy color: A beautiful Indigo that went on sale September 1. It's not all about the classic Dutch oven, though. 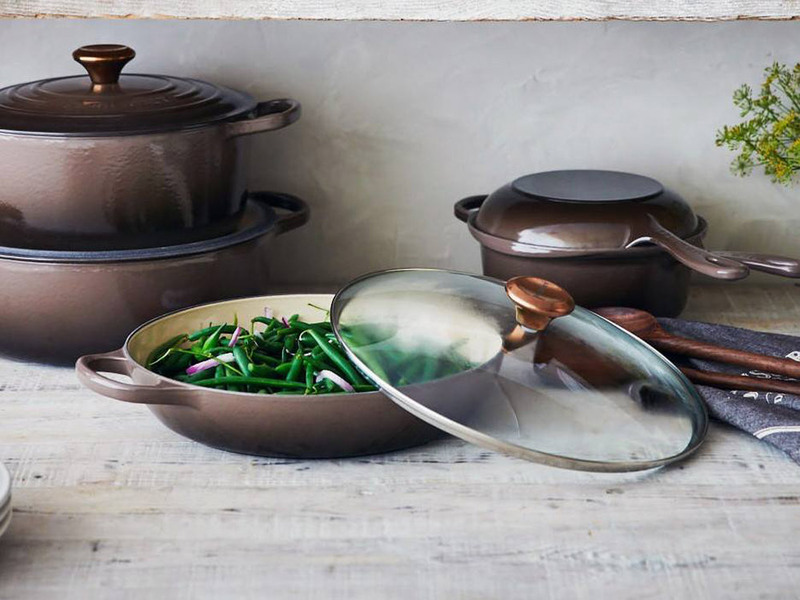 Breaking out of its cast iron mold, Le Creuset also starting selling a new line of stainless steel pots and pans this year that should leave diehard fans excited to try something new from the brand. And the most diehard among you will travel to Atlanta for the factory sale, going down November 1 through 4. And if you're still wondering how to pronounce Le Creuset, watch Vivian Howard clarify it for you.